Roofreflex was laid over this existing roof with slates. 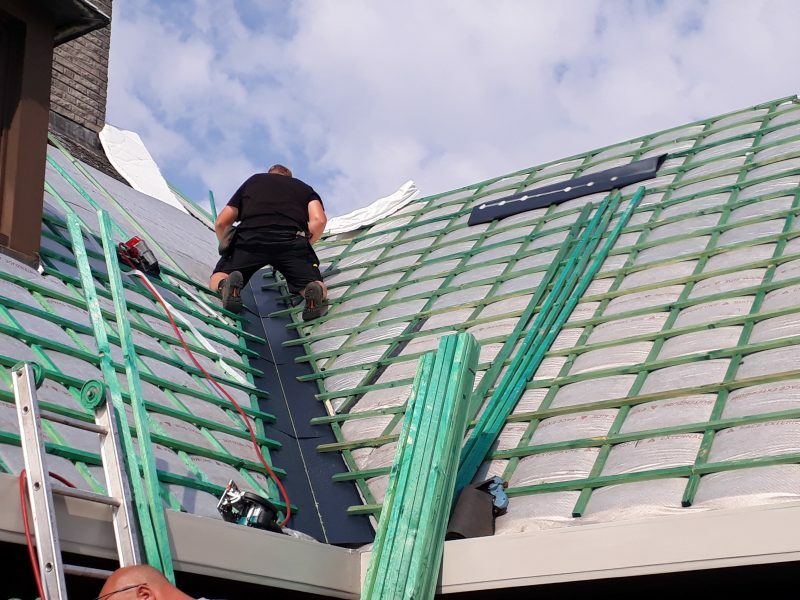 The roof is now better insulated and is conform to the Flemish 2020 standard. Thanks to the flexible polyester fiber the roof was only slightly raised. 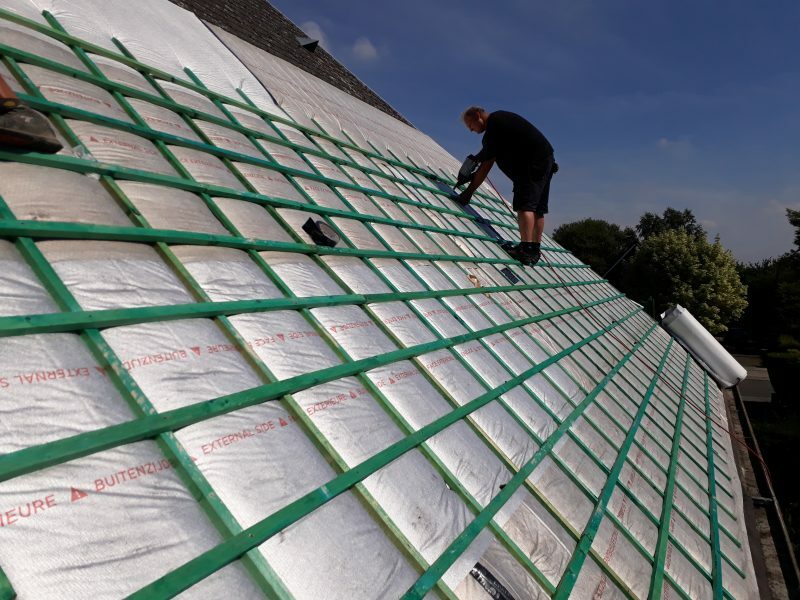 In addition, the reflective power of this insulating roof membrane provides considerable protection against the sun’s rays and reduces the risk of overheating in summer.